Learn the risks: What are the most common risk factors for diabetes patients and what can be done as prevention? They often say that knowledge is power and when it comes to taking care of your health, knowing what to do and when, may actually make a difference in your life and overall well being. Understand the most common risk factors for diabetes may be key in implementing your prevention scheme. Diabetes refers to a group of diseases that directly affect how our bodies use sugar in our blood (glucose), and it can appear in many cases as Type 1, Type 2 and Gestational Diabetes. Unfortunately, diabetes risks and complications are many, and suffering from the disease mean making a drastic readjustment on your life, as it forces you to modify the way you eat, your activity levels, requires medication and constant attention. While all these factors can be managed and actually, with time, become part of your normal routine, what if you could understand the risk factors for diabetes in order to prevent it? 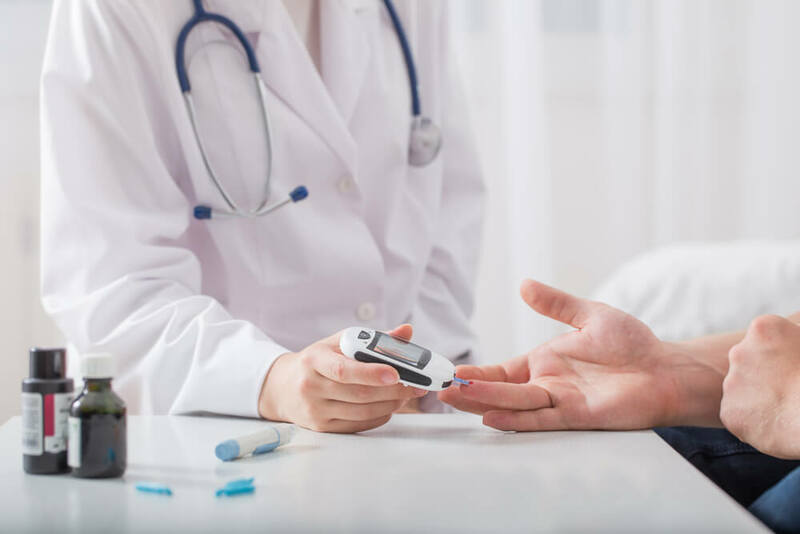 If you can respond in the affirmative to some of the above mentioned risk factors for diabetes, it is highly recommended that you have a consultation with your physician and a diabetes specialist, so together you can elaborate a prevention plan that suits your lifestyle and needs. In many cases, making small adjustments to your daily life can do great things to avoid diabetes risks and complications altogether, making your exposure even smaller. Risk factors for diabetes type 2 also include unhealthy habits such as smoking, having a poor and unbalanced diet and a high degree of inactivity. Since these are all risk factors that have to do with your lifestyle, making the changes in these circumstances in key. Understanding the role that a balanced nutritional has in our general wellbeing is the first step into wanting to be healthy. What we eat plays a big role on whether or not we develop diabetes somewhere along our lives. Sticking to a diet that includes low, wholesome carbs – preferably complex like those that come from legumes and vegetables – lean proteins and low amounts of fats creates the perfect balance for our system. If you are struggling with your weight, a balanced diet like this one will not only help you lose the extra pounds, but will actually provide the necessary nutrients so your energy levels go up, thus allowing you for better physical activity. Including moderate exercises in your routine will also have a direct impact on your health. Whether you choose 30 minutes of cardio, or you decide to do a combination with resistance and strength training exercises, adding this will improve your cardiovascular health, promote better and more stable glucose levels and support a healthy weight. Understanding these issues is important, and as always it is highly recommended that you consult your Doctor to get the proper guidance and recommendations that will best fit your needs.